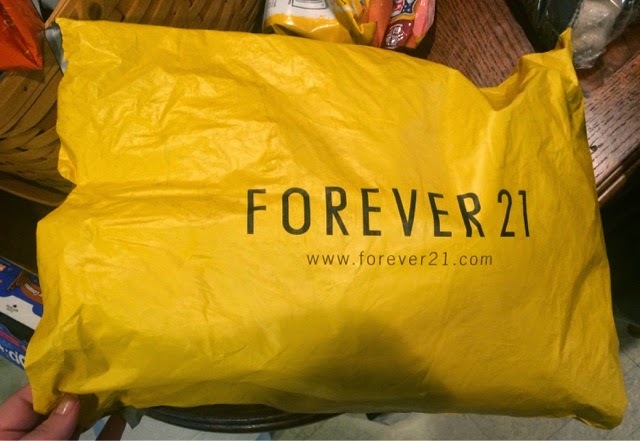 Actually Erica: Forever 21: Small Fall Haul! 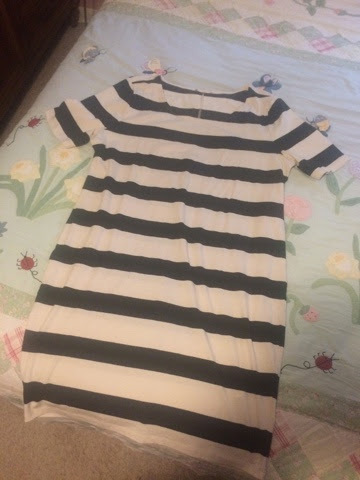 This dress was actually on clearance when I bought it, so I'm not too surprised that it is no longer on their website. 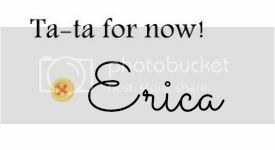 Items that are sold out are always popping back up on their site from time to time with returns and so forth, so if you're interested in this then keep your eyes open. I ordered a size bigger than I normally wear in F21, because it is super form fitting. I really, really, really like this dress. I love the sleeve length, and how it comes all the way down to the knee. With a dress this tight it would be a little much if it were a super short length. And even though this dress pretty much clings to your whole body, it doesn't accentuate your flaws. Even the stripes are pretty easy to pull off, which never happens. This dress is surprisingly flattering, and I definitely plan on throwing this in my suitcase for a trip to Vegas this week! 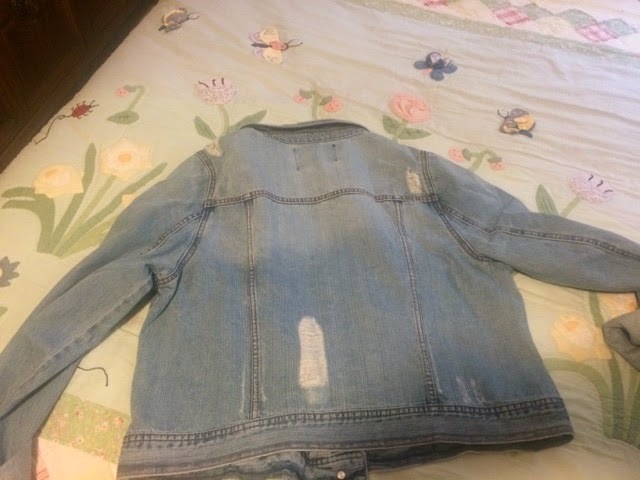 Distressed Denim Jacket (in light denim), $29.90 I have a darker denim jacket that I have owned for several years now, but I didn't have a lighter denim one. 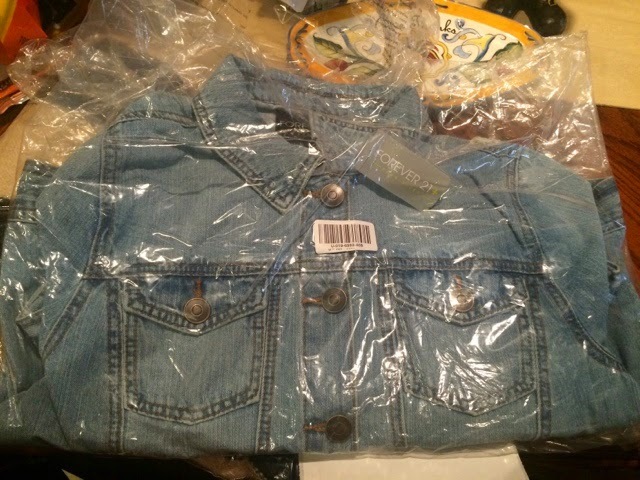 I hadn't ever even tried on any of Forever 21's denim jackets before so I was unsure about the quality/fit/etc. I was really pleased when this arrived. The denim is a great weight and feels like a really good quality. 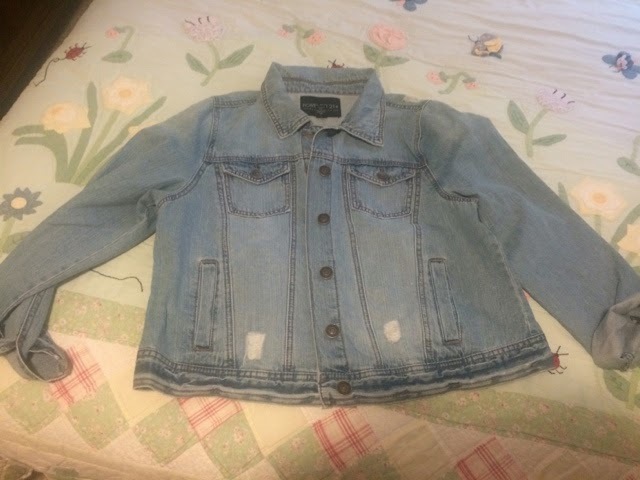 This particular jacket is made kind of small, I wish I would have sized up in this as well. I am going to keep the jacket, as it is wearable. But if you do decide to buy this item, it would be my recommendation to size up. I love the distressed detailing on the back. Super cute! 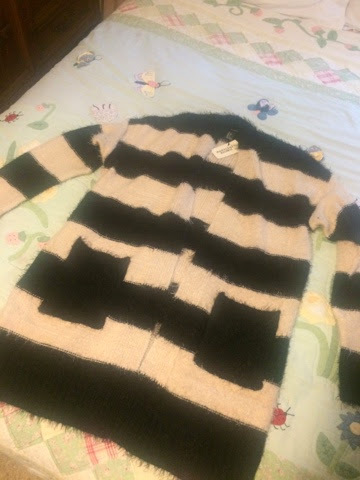 This sweater is seriously soft and cozy! 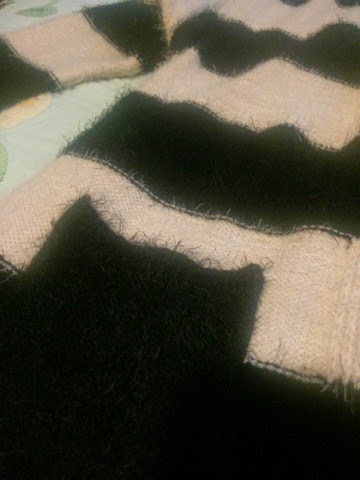 The fuzzy material is thick yet stretchy and is super warm for the cooler months. The length of this open-front cardigan is perfect for skinny jeans or leggings, and the front pockets are great as well. I can definitely see myself wearing this a lot this Fall and Winter! That's it guys! If you have any questions just let me know! Thanks for stopping by and have a great weekend! Mmmuuuaahhh!